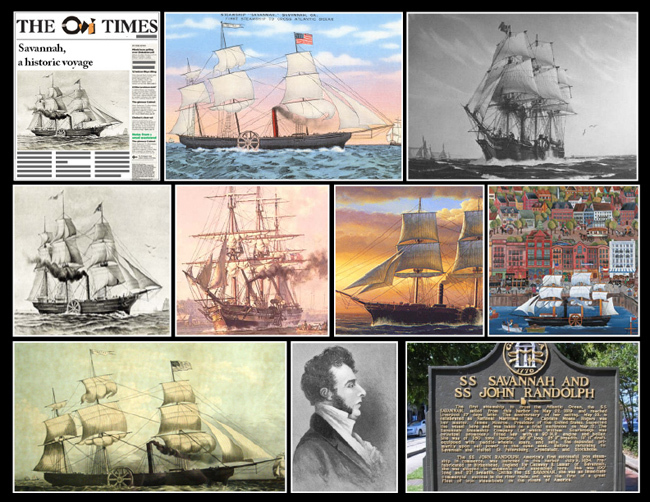 May 22nd 1819; the steamship Savannah became the first to cross the Atlantic Ocean. The Savannah reached Liverpool in 29 days and 4 hours, a good but not exceptional time, due in part to bad weather. The steam engine performed faultlessly, having been in use for part of the time on 18 days. Captain Rogers was hailed as another Columbus. The British press was extremely generous in praise for its design and concept. Stevens Rogers later recalled that the ship's officers "were treated with marked attention" and invited to visit shipyards, machine shops, factories and other places usually out of bounds to strangers. In return, of course, many British officers and newspapermen were invited to scramble around the deck and peer cautiously into the engine room. The British Admiralty and the British Cabinet, however, were less delighted with the thought that the Americans had gotten ahead of them. They also were concerned about rumors that the steamship was to be a gift from the United States to the Russian Czar or that Jerome Bonaparte had hired the Savannah to free his exiled brother from St. Helena. Captain Rogers visited the London home of the American Ambassador to England, Richard Rush, where he was warmly greeted. Like all the American ambassadors Rogers was to meet, Rush felt a tremendous national pride in the Savannah's achievement.